The General Secretariat of the “Prince Salman Award for Disability Research” has extended the nomination for noted researchers who have accumulated an exceptional record in advancing the field of disabilities research in medical‐health, pedagogical‐educational, or social rehabilitative domains. Only nominations from Academic, health, social, governmental, and nongovernmental organizations and societies (not from individuals) will be accepted. 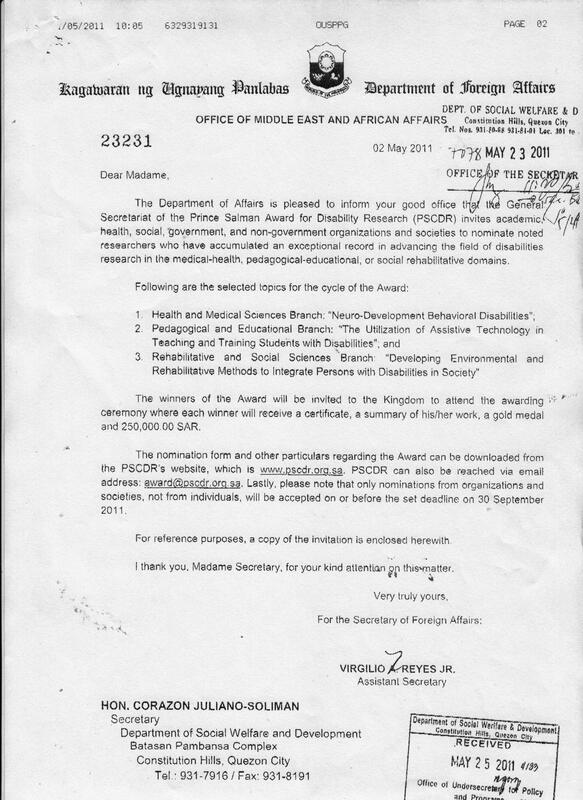 All nominations must be received on or before September 30, 2011.